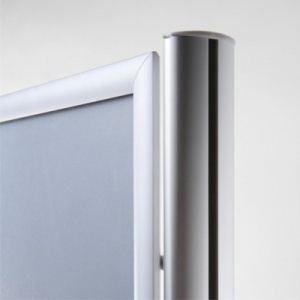 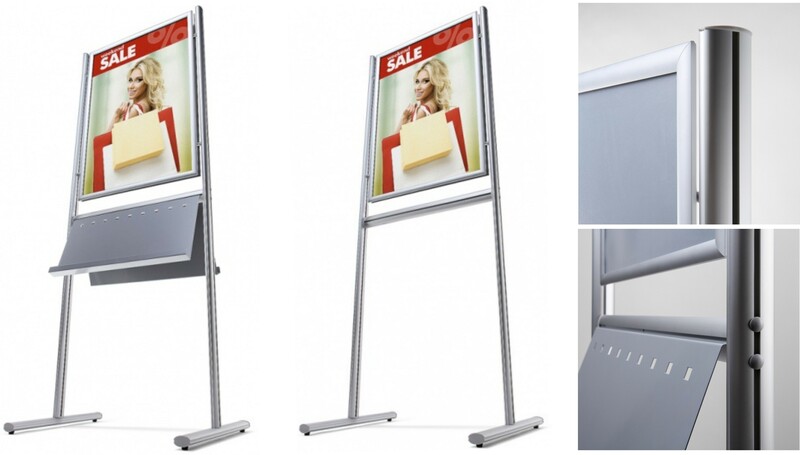 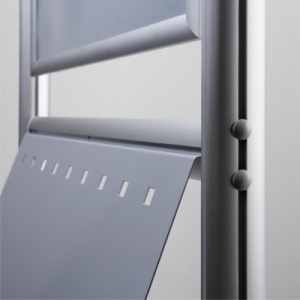 Available in a choice of 2 sizes the freestanding single sided Infoboards feature silver anodised aluminium posts, feet and cross rail. 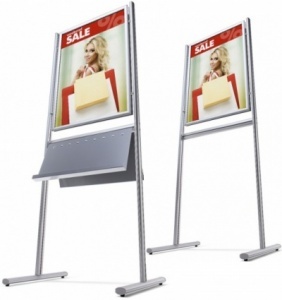 With a 25mm mitred corner poster snap frame which is suitable for either A1 or 700 x 1000mm poster sizes. The single sided Infoboard is also available with a optional painted steel literature shelf.